Today on Red Reporter the roundtable question is about Jay Bruce: will he always been an up-and-down kind of player, or is he figuring out a way to stay on the upswing for the long term? I didn’t know the answer off the top of my head, so in a fit of desperation, I resorted to trying to actually learn something. This involved accessing two entirely different websites and leveraging an Excel spreadsheet. Oh Excel! You make counting so much easier! 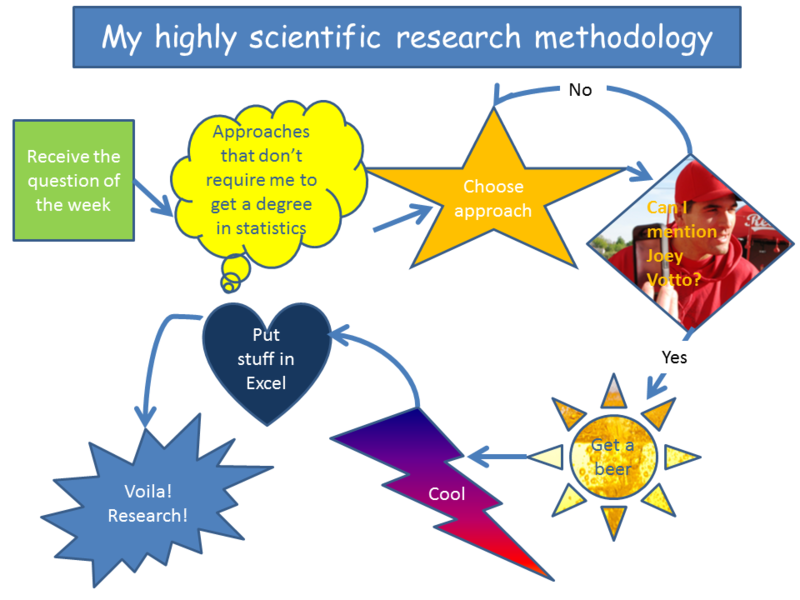 Anyway, I was so proud of my science-ness that I wanted to share with you an inside peek at the method. Learn it well and maybe you’ll be able to use it someday. Maybe you’ll even improve on it, like finding a way to work in TWO beers. You can tell it’s highly scientific by the Comic Sans title.